For the purposes of this example, we will be using a maximum of 50 colour pages. 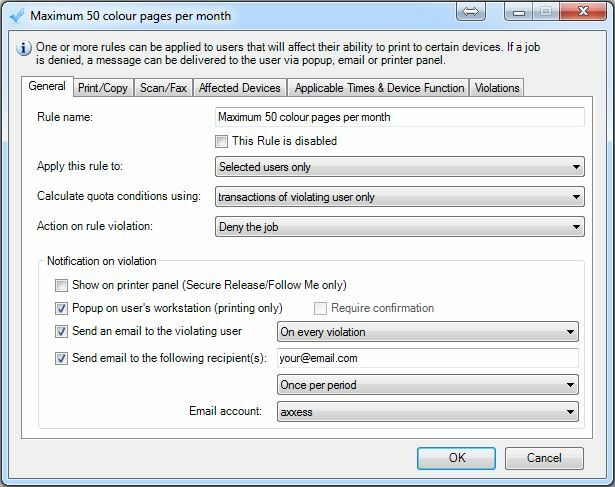 In the Rule name text box, under the General tab, enter Maximum 50 colour pages per month. If the user has PDAgentClient installed, tick the Popup on user’s workstation (printing only) checkbox (so the user gets an immediate popup on their workstation). 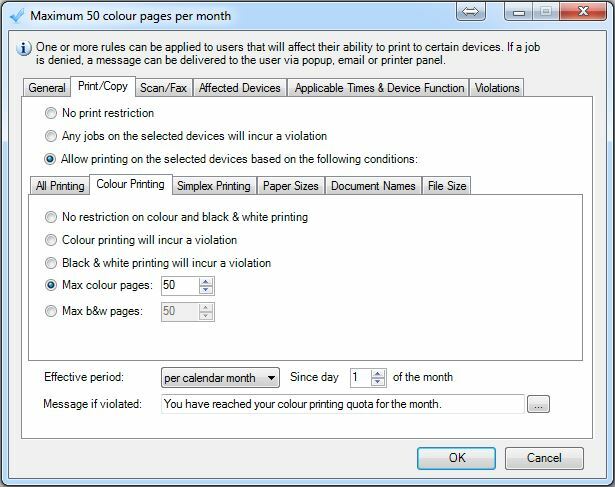 Click the Colour Printing tab, select the Max colour pages option. Change the Message if violated text to You have reached your colour printing quota for the month (put in whatever message you want the user to see).